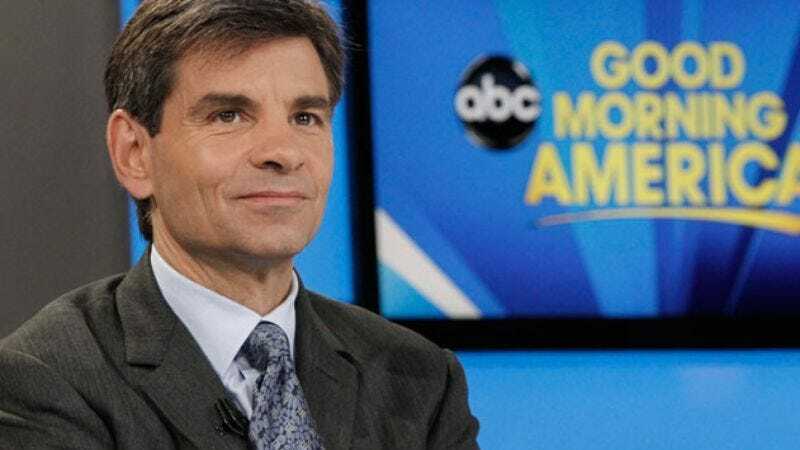 Beloved Marvel character George Stephanopoulos to appear on Agents Of S.H.I.E.L.D. The big airplane that the Agents Of S.H.I.E.L.D. ride around in is getting more and more crowded for its upcoming second season. As previously reported, the show will add Lucy Lawless, Kyle MacLachlan, Reed Diamond, Brian Patrick Wade, Adrianne Palicki, and probably a dozen other people we’re forgetting to its cast, and now we have two more names to add to the list: Hayley Atwell and George Stephanopoulos. This comes from The Hollywood Reporter, which says they’ll both just be guest stars, but it would be nice if Marvel left one or two people in the world free to do something other than appear in its movies and TV shows. Atwell will be playing Agent Carter—the same Agent Carter she’ll be playing on the upcoming Agent Carter TV show—so her appearance will presumably act as an introduction to the post-World War II adventures that she’ll be having. As for Stephanopoulos, the newsman will reportedly be playing “himself,” which is obviously an indication that he’s some kind of superhero in disguise. Maybe he’s Ghost Rider? Has anyone ever seen George Stephanopoulos and Ghost Rider in the same room? Or, even better, maybe there will be an episode where someone is watching the news, and George Stephanopoulos will say something about the Agents Of S.H.I.E.L.D. doing something superhero-related. Wouldn’t that be exciting?